The Surface Book 2 is the flagship device from Microsoft with the top of the line specifications and unique design. This is a full-fledged tablet as well as one of the most powerful laptops available in India. In fact, the price of the base variant starts at Rs. 1,38,000, and in no way, the Surface Book 2 is an affordable machine. How does this high-end machine from Microsoft perform on a day to day basis? Should you go for the Surface Book 2 over other premium laptops like MacBook? Let's find out. The Surface Book 2 is one of the unique looking laptops/tablets. The design of the Surface Book 2 speaks for itself, where the laptop/notebook comes with a detachable hinge mechanism. The detachable lower portion of the laptop houses the I/O including the dedicated Nvidia GPU (in this case, the Nvidia GTX 1050. The hinge mechanism on the Surface Book 2 is an engineering marvel, which makes the Surface Book 2 a full-fledged laptop and also a tablet. The mechanism does feel solid and sturdy, which offers a unique user experience while opening and closing the display. Microsoft calls the hinge mechanism as the dynamic fulcrum hinge, which uses muscle wire lock technology which should makes the mechanism strong and sturdy. The fulcrum hinge does offer the necessary support to hold the display intact, while using the device. The overall functioning of the hinge does feel satisfactory. We did complain about the I/O on the Surface Laptop, albeit, the Surface Book 2 nails with the I/O, where the device possibly has every port that a power user might need in 2018 or the coming days. The Surface Book 2 has a full-sized USB-A 3.0 ports, SD card slot, 3.5 mm headphone jack, proprietary charging port, and a USB type C port. The type C port also doubles as a display port (USB 3.0 standards), which can be used to attach a secondary screen (up to 4K) with support for charging. So, users can charge from both the proprietary charging port and the USB type C port. However, unlike the Apple MacBook Pro, the USB type C port is not a Thunderbolt 3, so users cannot attach external GPUs. The 13.5-inch model of Surface Book 2 has a 13.5-inch PixelSense display, which is one of the best displays that we have seen on a notebook. The display comes with native 3000 x 2000px (almost 4K) resolution with 267ppi. If you are looking for a laptop for media consumption, then nothing can get better than the Surface Book 2, which offers real-life like colors and contrast ratio of 1600:1. The display can be detached from the base keyboard with a click of a button, which makes the Surface Book 2, a fully-fledged 13.5-inch tablet running on Windows 10 Pro OS. The device has a spectacular display with tempered glass protection with high-precision touch input. After actually using the touchscreen on Surface Book 2, we did appreciate the large laptop/tablet with touch support. In fact, Microsoft has done the best possible with the touch screen on the Surface Book 2. There is a dedicated tablet mode, which makes the Surface Book 2 more versatile by offering a tablet-like operating system. Even in the tablet mode, one can run apps without any issue. The tablet can also be charged separately using the charging port located on the bottom portion of the laptop. There is an issue with the tablet portion of the Surface Book 2. Though the Surface Book 2 has a decent amount of I/O, the tablet portion only offer a 3.5 mm headphone jack with a charging connector. If you want to get the most out of the tablet-mode on the Surface Book 2, then get a Surface Pen, especially if you are an engineer or an artist or even a student. Sketching, modelling, and taking notes with the Surface Book 2 with a Surface Pen feels natural. The Surface Pen can be attached to the laptop, which makes it easier and convenient to carry around. The right side of the Surface Book 2 comes with magnetic property, which can be used to attach the Surface Pen. The Surface Pen also comes with different pressure sensitivity, which will be useful for sketching. The Surface Pen also comes with shortcut button, which is programmable in the Pen from the settings menu. Users can also choose the hand that you use to write for improved touch input while drawing or designing. The Surface Book 2 easily has the best web camera that we have seen on a laptop. The laptop has a 5 MP front-facing selfie camera on the front and an 8 MP primary camera on the back. Both cameras can record 1080p videos @30fps and also supports 1080p streaming on video conference calls. Even in the dark environment, the camera can produce brighter pictures and details, thanks to the high-resolution camera. The Surface Book 2 has a dual front-facing stereo speaker setup with Dolby Audio premium support, which produces impressive sound. It is quite loud and clear. Watching YouTube videos or movies on the Surface Book is nothing less than a treat to the eyes and ears. However, the bass is on the lower side, which is the only disappointing factor about the speaker. The built-in 3.5 mm headphone jack supports Microsoft Spatial Sound, which also offers a premium music listening experience with a surround sound like effect with the right amount of bass. Just like the Surface Laptop, the Surface Book 2 supports Windows Hello based face unlock using the web-camera and IR sensor. The Face Unlock works in almost every condition, and it is pretty quick as well. Do note that the face data is stored on the device, and is encrypted using the HW TPM 2.0 chip for enterprise security. Windows Hello enables a secure, yet a quicker way to unlock the laptop without typing in the long passcodes. 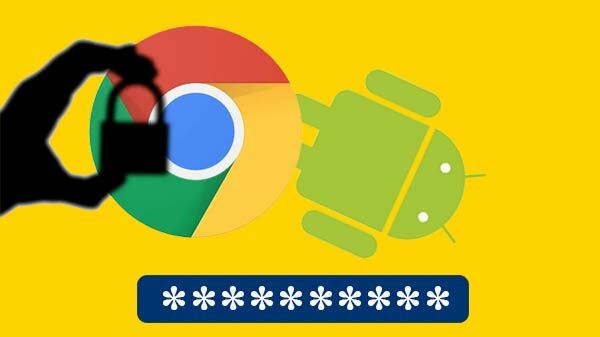 It will be a great feature to add an additional layer of security. Overall, the Windows Hello feature on the Surface Book 2 works as marketed. The Surface Book 2 has a full-sized QWERTY backlit keyboard. The keys on the Surface Book 2 offers a right amount of travel, yet the keystroke is silent. Once again, the Surface Book 2 has the best non-mechanical keyboard on a laptop. The keyboard on the Surface Book 2 comes with three level of LED backlight, which can be adjusted with a touch of a button. The function button and the Caps button also come with a tiny LED light, which is a small touch, the elevates the overall user experience. We did use the Surface Book 2's keyboard on an extended period, and we were impressed with the response from the keyboard. If you are a writer, who spends a lot of time on a computer, then the Surface Book 2 might be the device for you. The glass trackpad on the Surface Book 2 is similar to the one seen on the Surface Laptop. The overall response from the trackpad is intuitive and smooth. However, the trackpad on the Surface Book 2 does not stand a chance against the big trackpads on the Apple MacBook Pro. If you are planning to get the Surface Book 2 for some creative work, then get a regular or a gaming mouse, as using tools like Adobe Photoshop, and Adobe Illustrator is not easy on the built-in trackpad. The Surface Book 2 does not compromise when it comes to performance. The laptop is powered by the 8th Gen Intel Core i7-8650U quad-core processor with a maximum Turbo frequency of 4.2GHz. The graphics-intensive tasks are handled by Intel HD Graphics 620 integrated GPU or the dedicated NVIDIA® GeForce® GTX 1050 discrete GPU w/2GB GDDR5 graphics memory (which is in the base portion). The GTX 1050 GPU can handle most of the games at a lower resolution (720p). The laptop comes with 16 GB of RAM 1866Mhz LPDDR3 with 256/512 GB or 1 TB of SSD. Do note that, neither the RAM nor the storage on the Surface Book 2 is expandable or replaceable. So, make sure that you choose the right model before the purchase. 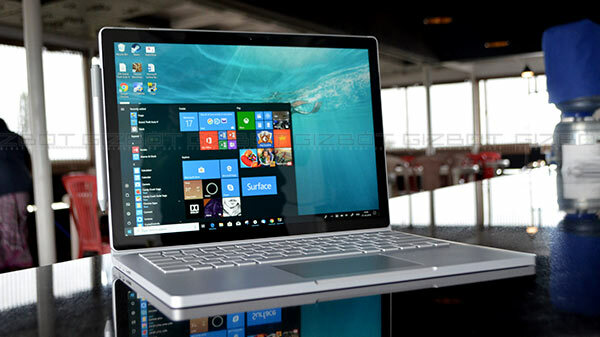 The Surface Book 2 sails like a boat when it comes to day to day tasks like web browsing, watching videos, video editing, video rendering, as the Surface Book 2 has one of the most powerful mobile processors from Intel, that too an 8th Generation chipset. Here are the some of the benchmark/gaming results of the Surface Book 2. The device scores 1821 MB/s and 64 Mb/s on read and write speeds respectively. These numbers imply that copying a file or even accessing a random file, say a 4K video will be much faster on this machine. The Geekbench 4 comprises of both CPU and the GPU performance of the Surface Book 2. 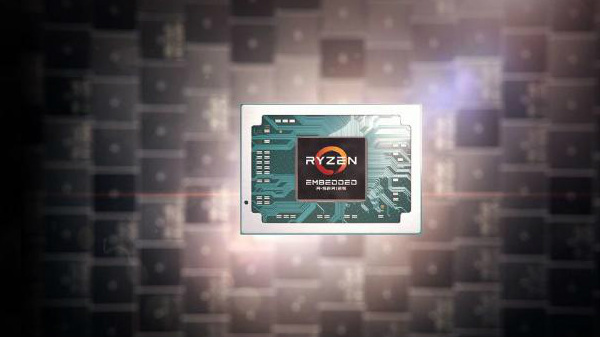 The device scores 4525 points on the single core and 14054 points on the multi-core CPU performance. On OpenCL, the device scores 22023 points. These scores imply that the Surface Book 2 can handle most of the CPU and GPU intensive tasks without any issue. Cinebench R15 is again a benchmarking tool to measure the performance of a device (CPU and GPU). The Surface Book 2 scores 72.74fps on OpenGL and 460 CB on CPU benchmark. Once again, these scores reiterate the Geekbench 4's verdict, that the Surface Book 2 is a highly capable machine from both CPU and GPU perspective. On Unigine Heaven 4 (DirectX 11, 1920 x 1080p resolution with tessellation off), the device scores an average FPS of 12.5 with 314 points. We reinstalled and ran this benchmark multiple times, but we did not notice any significant difference in the performance. GTA V is still one of the most demanding game available on Windows OS. The Surface Book 2 can handle GTA V, albeit, at a lower resolution. In fact, we tried to run the game on the native resolution (3000 x 2000) and 1080p, and the frame rate was less than 10fps. One has to play the GTA V with 720p or lower resolution to get an average 30fps game play. The NFS Payback can run well on the Surface Book 2, even with 1080p resolution. We did notice an average frame rate of 40 to 45fps on 1080p resolution. So, one can run the NFS Payback on the Surface Book 2 without any issue at a bit lower frame rate. The Surface Book 2 comes with Bluetooth Wireless 4.1 technology with Wi-Fi: IEEE 802.11 a/b/g/n/ac Wi-Fi standards with support for 2.4 GHz and 5.0 GHz Wi-Fi bands. The laptop was able to receive the signal even when the device was far away from the actual router with no significant speed reduction. As one can clearly see, the device maintenance similar download and upload speeds on both bands. The Surface Book 2 is a great device with almost every feature that a user wants from a premium laptop/tablet. However, it does have its own shortcomings just like most of the electronic gadgets. What did we like about the Surface Book 2? While there are many 2-in-1 laptops in the market, these devices somehow raised one question among the users, i.e. is it a good laptop or a good tablet? On the contrary, most thought it was lesser than a laptop and a tablet. This made a lot of sense because most of the 2-in-1's didn't convert into a tablet which is as convenient as regular tablets. Moreover, most of the 2-in-1's were also not as good as regular laptops in terms of durability or performance. But the Surface Book is quite an efficient one when compared to all the 2-in-1 laptops. Obviously, this does come with a cost - a cost, that can make you think really hard and long. And the Microsoft Surface Book 2 solves this riddle, as the device can be used as a stand alone tablet or as a laptop. The Surface Book 2 is not for everyone, not primarily for gamers, as gamers have a lot of choice for less than the half the price of the Surface Book 2 with better if not similar specifications. The Surface Book 2 is for those, who care about the tiny detail about the product, who are looking for a laptop, which can act as a tablet and can also become the powerful computer to do CPU and GPU intensive tasks. The Surface Book 2 is more of a statement, this is the strong competitor against the likes of the premium MacBook Pro laptops from Apple. The Surface Book 2 is for artists and creators, who needs a device which can last up to an entire day on a single charge. If you are in the market for a laptop with a budget of Rs. 1,50,000 or more, then you can consider getting yourself a Surface Book 2. This device is for students, creators, and designers, who are looking for a MacBook Pro like laptop with Windows operating system. The Surface Book 2 is the Microsoft's flagship product, which offers a complete Windows 10 experience with premium look and feel. Finally, a laptop which can compete against the likes of Apple.